The Gunners only managed a 2-2 draw against Manchester United on the road in midweek and this has dropped them below the final Champions League place on goal difference. Bernd Leno could have done better with United's first-half goal in midweek where his late reaction saw Anthony Martial capitalise. This should, however, have no any implications over his position. In the defence, Emery may switch to the traditional four-man backline, given they are potentially down to two fit senior central defenders after the injury to Rob Holding in midweek. 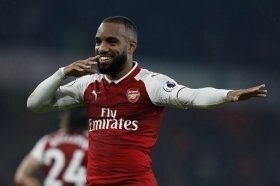 Hector Bellerin and Sead Kolasinac should reclaim their places on the right and left side of the backline respectively while Sokratis Papastathopoulous and Shkodran Mustafi should take up the central defensive duties with Laurent Koscielny unlikely to make a start after an extended injury absence. In the midfield, Mateo Guendouzi should likely drop to the bench to compensate for Granit Xhaka, who returns after a one-match domestic ban. The Swiss will most certainly partner Lucas Torreira in the centre of the park,. Further forward, Emery does not have many senior options to pick from with Mesut Ozil and Aaron Ramsey potential injury doubts while Danny Welbeck is sidelined for the long-term after his double ankle operation. In their absence, Alex Iwobi and Henrikh Mkhitaryan will most probably take up the attacking midfield positions while we are fancying Emery to go with a two-man strike partnership with both Alexandre Lacazette and Pierre-Emerick Aubameyang making the starting XI.